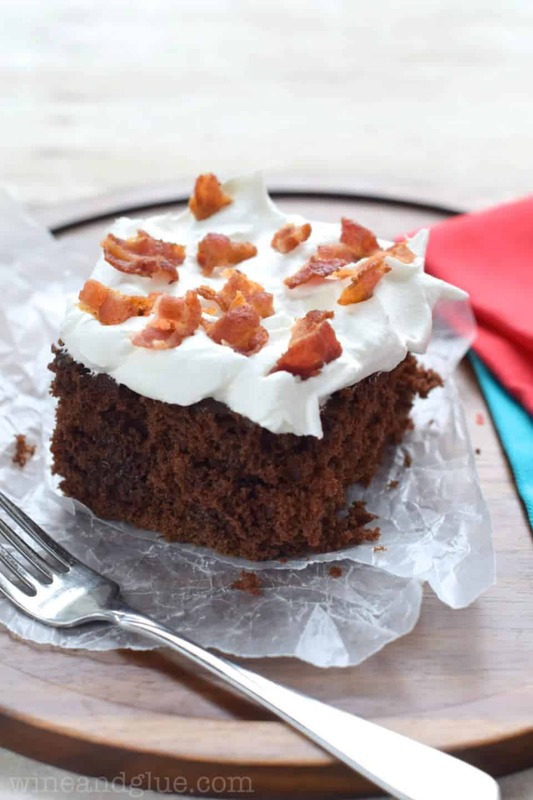 Chocolate Bacon Poke Cake | The perfect combination of salty and sweet, savory and ridiculously rich delicious. I’m about to rat out my friend Cathy. She’s a blogger over at Lemon Tree Dwelling. And she hates poke cake. Now before you start sending her hate mail, you have to understand that these are pretty much her only two flaws. Don’t you love having good friends who are 100% honest with you, lol! 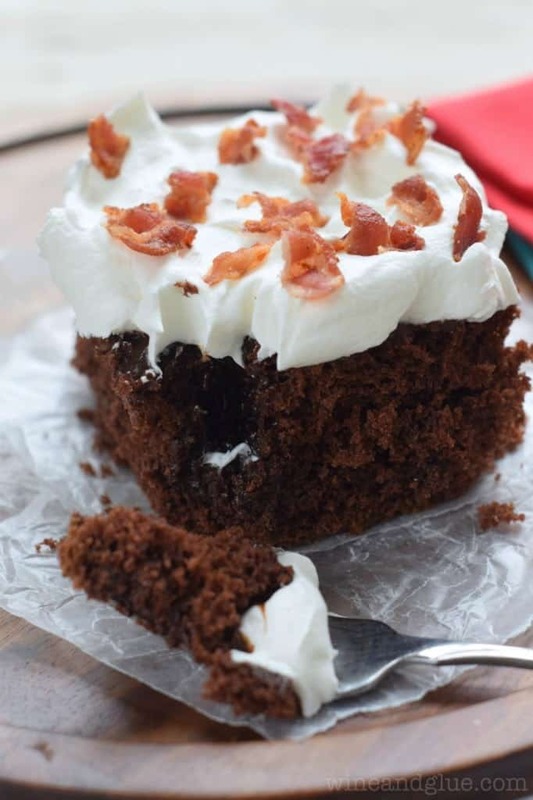 This Chocolate Bacon Poke Cake is seriously rich, super decadent, and pretty much a bacon lovers dream. 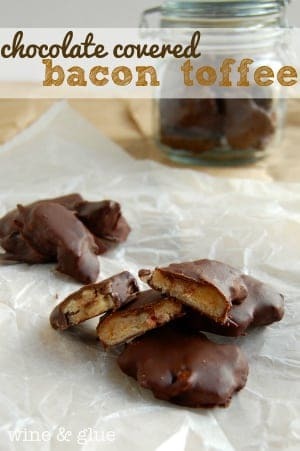 I LOVE the combo of chocolate and bacon. It’s like a chocolate covered pretzel, combining salty and sweet. It goes back to what I was talking about the other day about foods that both sweet and savory. Now before you head off and read the recipe, please keep this in mind. This is a really simple concept. 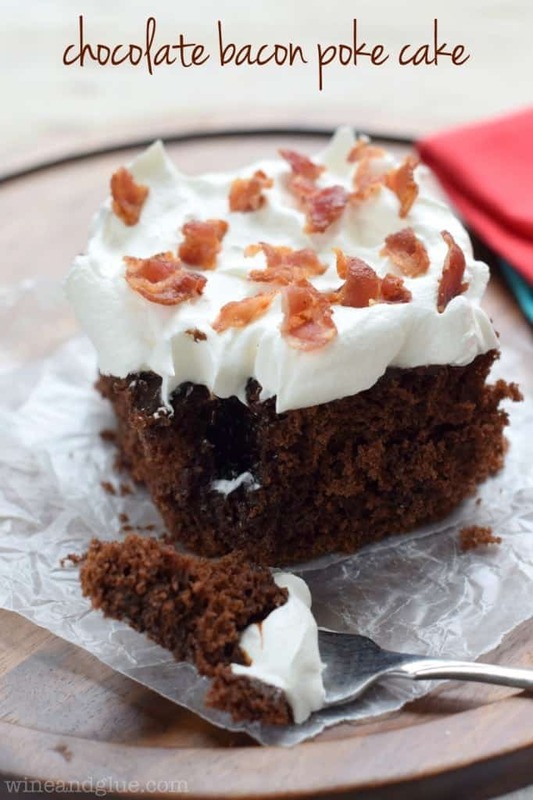 You take a chocolate cake mix, and you replace the fat it calls for with bacon fat. That’s it. If you cook up your bacon and you don’t have enough, just supplement the rest with the fat that the recipe originally called for. Make sure that you cook your bacon to a crisp so that you render enough fat and also so that when it sits in the refrigerator overnight waiting to top the cake, it doesn’t get all soggified. Preheat your oven to the temperature called for on the box mix. Additionally, prepare your 9x13 pan as stated on the box. Prepare the cake batter, but replace the fat (i.e. vegetable oil) with the bacon fat. Bake the cake as stated on the box. After it comes out of the oven, let it stand for about 10 minutes. Then poke holes in the cake with the bottom of a wooden spoon. Pour the fudge sauce evenly into all the holes. Refrigerate the cake overnight. Before serving top with Cool Whip and bacon crumbles. Okay, so I had no idea that pigs don’t sweat!! But I am an ardent bacon lover (and poke cake lover). I suppose if those are Cathy’s only flaws, I’ll let it slide 🙂 This looks fabulously over the top! OMG. Just… the best poke cake ever! LOL!!! I’m dying reading this! Oh Cathy. 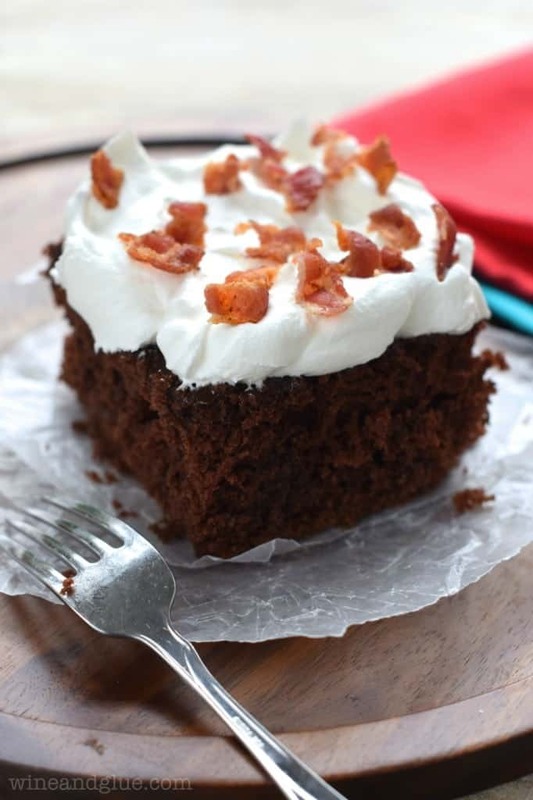 😉 I think this cake sounds amazing – I am all over bacon, chocolate, and a poke cake. Sounds like a freaking winning combo if you ask me! 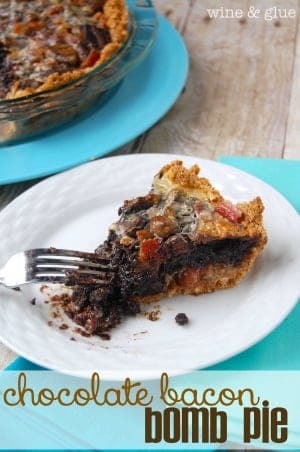 Great recipe, pinned! xo! How could she not like bacon? It’s basically its own food group! Just kidding, of course. I’ve never had the chocolate and bacon combo before, but now I’ll have to try it! Jamie recently posted…What Are The Best Espresso Beans? Oh my. I was planning on picking up a few groceries tomorrow! I am so making this tomorrow night!